What can an SEO Agency do for your business to help it grow? Home » What Can SEO Do For Your Business? Is Search Engine Optimisation Important for Every Business? Your business serves a highly specific niche within an industry that is equally uncommon. That usually means you have little to no competition to contend with. Do you need to make an effort if you are already #1? Your business is in its fledgling stage. You barely have a rank and need an option that would give you maximum visibility in a relatively short amount of time. 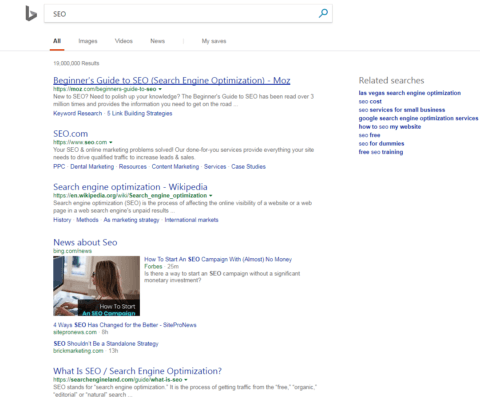 Should you give SEO a try? The answer to both these questions is YES!Regardless of the industry your business belongs to or the state your business is in, it could reap benefits with SEO. If you are still wondering, whether SEO is for you or not, there is one simple way to ascertain that. If anything matters when it comes to the success of a business, it is something that increases its sales at the same marketing cost – or negligible increase. That’s because this will allow a business to grow its profits. If the increase in sales keeps happening over time, so much the better. 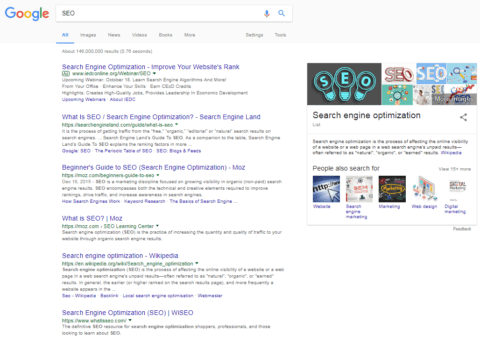 SEO can do that! Compared to other methods of online marketing, it can take your business goals much further and at a better ROI. SEO can result in higher sales and better conversions while not affecting the cost in the same proportion. Even if you are the only business in a certain industry, do not assume that every buyer would have heard of you. Don’t presume that you will always remain the best place to buy from either. If anything, the plethora of information available on the internet has made it easier for a buyer to find a better deal. There is another aspect to the social side of the web and that is its use for comparison shopping. A price-conscious buyer will spend time in doing their research. SEO plays an important role in making you rise through the ranks in that research. As it offers information critical to the buyers’ needs through relevant keywords, it attracts more potential buyers to your website. SEO makes it possible for your business and your customer to be on the same page…literally! If you aren’t yet thinking about an SEO Audit, then this might convince you. About any 50% of marketers believe that SEO is crucial for their jobs. To them, it is one of the most effective digital marketing strategies. 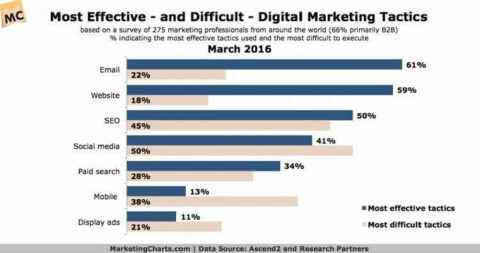 The chart above shows that instead of spending the marketing budget on other options, it would be better to spend on SEO. Money spent on SEO is well spent. 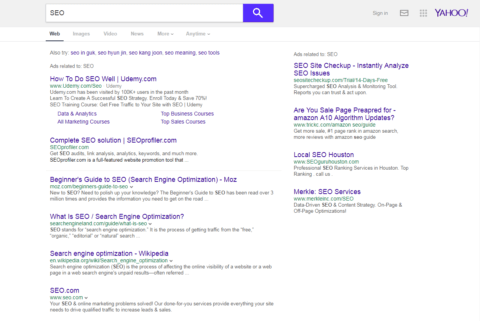 The ten positions present on each page of search results page are ordered by rank. If your company website ends up high on that page, the likelihood of searchers being attracted to it and the click-through rate improve. More traffic is headed to the pages that occupy a higher position on the search page. That means regardless of how business changes in the future, a financial incentive will always exist for websites to be ranked higher on search engine pages. It also means that businesses will be competing through those rankings for more user traffic and better brand visibility. You should consider an SEO Audit even if business is good without good search engine visibility. If profits are this good without your company’s website using high search volume keywords, imagine how much better they would be when your business is ranked for them. Moreover, you will be able to reach more customers, which would translate into increased sales. 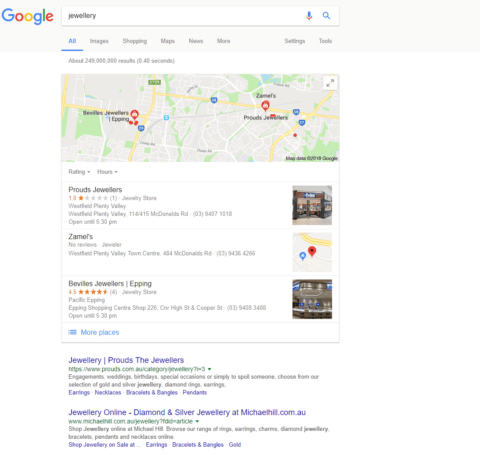 In most cases, like in this example, the search won’t just search once, then click on the first handful of websites that show up, and go shopping for jewellery. No, they will probably click on a number of websites when they don’t find what they need, they will edit their search terms. Then, they will click on the websites and keep honing the search terms until they find what they are looking for. How does that affect your business? If your company website shows up in the search results every time, it means the searcher is becoming closer to becoming your potential customer – deeper into the buying cycle. The higher the extent of mindshare your products and services share with them, the better the chances that they will click through to your website, and trust you to have what they need. With good SEO, you can capitalise on weaker competition. With companies who have marketing budgets smaller than you, there will be overlooked opportunities to use to your advantage. An SEO Audit can help you capitalise on the mistakes they make and fill the gaps these firms leave open for you. 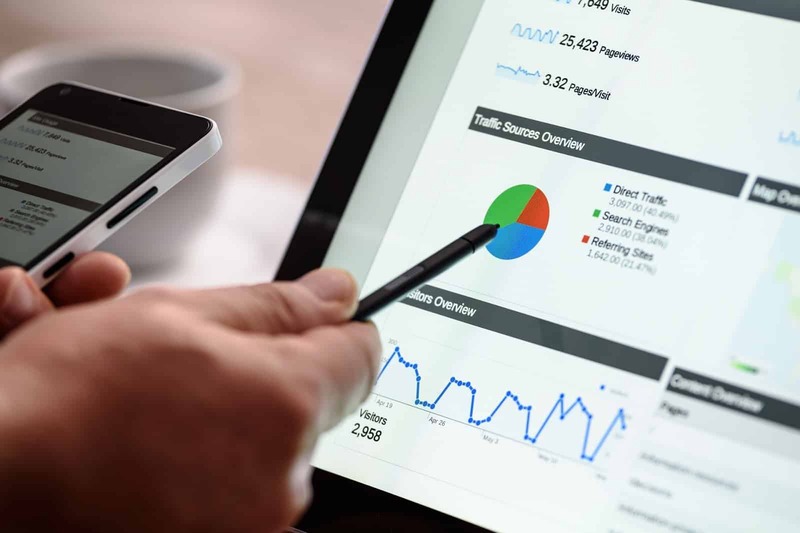 Even if you are the smaller- or medium-sized business competing with a firm with a bigger budget, you can use SEO to your advantage with the right SEO Agency. Since you will have a limited budget that can be spent on marketing efforts, the strategy you choose should be laser-focused on your customers. Running a marketing campaign that costs you and delivers no ROI won’t be smart. Therefore, instead of opting for TV commercials, billboards, or some other mass media display advertising, think in terms of your customer type. While such ads would make the general public aware of your product or service in a category, that might not be translated into sales. If you are selling something that will interest only a section of the general population, why spend so much attracting those it won’t? Moreover, when users interested in your product or services use search engines to look for more information on them, SEO will help position your business in the right place. You will be able to harvest the traffic without spending more than the defined budget. You will also have avoided the use of sneaky practices that might be labelled black hat SEO. Don’t believe when an SEO “expert” tells you that by targeting the names of other business’ brands, you can achieve the same results. No, what you need is organic SEO that keeps in mind the broader buyer intent keywords searched by your prospective customers. 60% online shoppers will do their purchasing 21% or more online.Now, think how you would be meeting your audience halfway with good SEO. After all, what is good SEO but a message that seems relevant to your targeted audience? If it catches their interest and they click through to your website, it will be up to your product/service to give them the solution they sought. If you are doing your SEO right, it will do exactly that! If, however, your SEO optimised content says something else while your product says something else, then you will be disseminating false information. Providing the facts every time is completely possible with the right kind of SEO. And it will pay off too because it will be valuable in building and managing the reputation of your brand. A brand with such a reputation would be a stronger brand. SEO can help you build a stronger brand!Close to 60% of online shoppers – and an even higher percentage of millennials in a small amount of time – have been found to visit more than 5 brand manufacturer websites. That means if through SEO, you can remain relevant to brand shoppers, it can result in sales. Additionally, this also indicates that out of the many targeted digital marketing strategies, SEO remains the one that generates the highest conversion rate. Whatever you invest in SEO – if it is good SEO –, you will reap more than that in rewards. As an aside, keep in mind that search engine ads are considered the second biggest prompters when it comes to prompting potential customers to visit the website of a brand manufacturer. All these factors play an important part of conversion of the traffic your business is investing to attract to your website. Lastly, it is possible that what has been keeping you from using the full potential of SEO is how much of a hassle it is for you. You might not be an expert in SEO and that is completely okay – you don’t have to be. You just have to be good at what your business says you are good at. 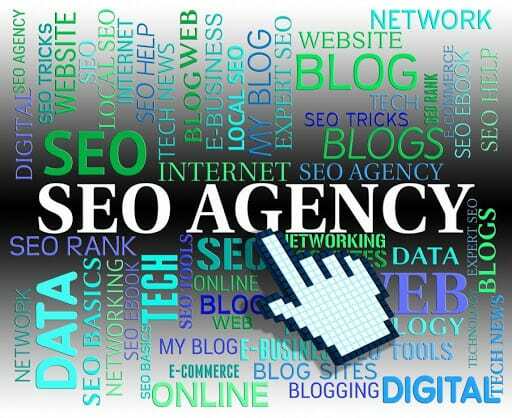 Instead of trying to do your SEO yourself, why not consider an SEO Agency for the job? Good SEO companies understand that SEO is a long-term project and not something temporary. They will be working on your SEO on an ongoing basis. 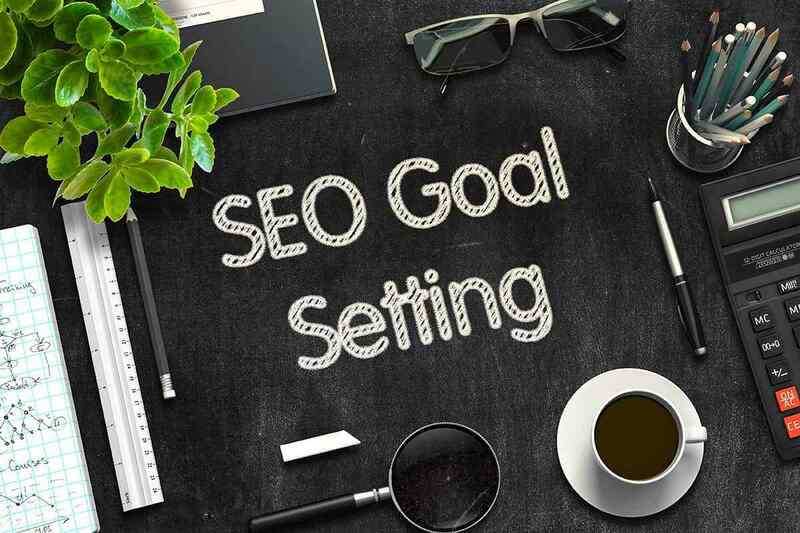 Unlike someone who has just read up on the term via the internet, the experts utilise all known and newly learned techniques and tools to manage your SEO campaign. You will find that they will be cognisant of any new algorithm changes that may be on the horizon. You will also see how their knowledge of the right kind of ranking factors can make a huge difference. In conclusion, Search Engine Optimisation or SEO is a valuable tool. You can use it – or engage a professional SEO Agency – to optimise your website in a way that helps search engines understand it better. The better their understanding is, the higher rankings your website will achieve. A good SEO approach means more traffic, which could mean more customers that in turn translates to more sales!